I’m sure all women worry about getting back to their former shape after falling pregnant, and it’s even harder for a belly after twins. Twins can cause a girl to get so huge that there’s even a name for the things that happen to your belly after you have your twins. But just because it can happen, doesn’t mean you can’t do something about it. Carry on reading to find out what happens to your body after having twins, and how to get rid of twin skin, once and for all. For a start, expect all the normal pregnancy symptoms, except they might be stronger than normal. You can also expect to be bigger than a woman who’s only carrying a singleton. This is completely normal. After all, you’re carrying two babies, rather than just one, and any bloating and fluid retention you might experience is probably going to be worse than it is for a non-twin mom. Long story short, you’re going to be going through the same things as women who are only carrying one child, but far stronger, so you can expect the symptoms that come out of pregnancy to be more intense as well. If you’re interested in the in-depth symptoms of carrying twins, you should read this article, where we go into everything you need to know. Because you’re going to be bigger than a woman who is only holding one child, your belly is going to have to stretch much further to hold the twins that are growing inside. This means that when you deliver your twins and your body tries to return to normal, it’s going to be harder, because of how much further it’s moved than what would be normal. We’re not really designed to hold twins, after all. It’s already a marvel that we can! 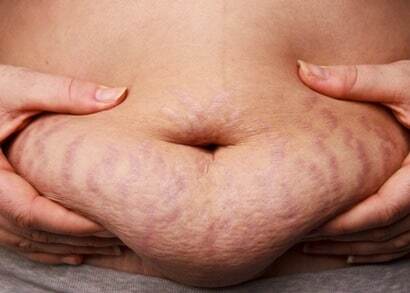 So when it all tries to shrink back down, it’s normal to experience stretch marks and looser skin over your belly. This is the dreaded twin skin that everyone talks about it. Now, skin elasticity and stretchiness varies between women, which means that some women might suffer from twin skin and others might not, in the same sort of case. Stretch marks are a genetic sign of skin inelasticity, so if you’re prone to stretch marks already, it might mean your belly is more likely to retain pregnancy skin after you’re all done. If you heal fast and don’t get stretch marks, this is a good sign that you’re ready to bounce back to the shape you were before you were pregnant. Even if your skin is inelastic, don’t despair, there’s so much you can do to help you regain your figure, and your confidence! The other thing you might face as a new mother of twins is a c-section scar, because c-sections are far more likely with twins. However, even though we’ve all heard horror stories, modern medical science is amazing, and now most c-section scars are tiny and unobtrusive, making hiding even the small incision wounds behind underwear or skimpy bikinis really really easy. Your doctor will tell you the best way to care for your c-section scar, so just follow their advice and you’re almost certain to end up with a tiny little scar that you can be happy with. Sometimes the pressure of carrying a baby can be too much for your stomach muscles, causing them to separate in a condition called diastasis recti. Whilst it’s not life threatening, the lack of support from having weakened ab muscles can cause back and pelvic problems and issues with lifting and carrying things. You know, like your newborn children. For a lot of women, this problem will rectify itself naturally, but sometimes your body needs a little bit of coercion to get itself back in line. We’ll detail how to do that later. When you’re trying to get your tummy back into the sleek shape it was before you fell pregnant, and deal with the sag, you’re going to have to focus on both things that we spoke about earlier. Saggy skin and weak ab muscles. Thankfully, you can fix both of these issues with the same things, and tweak your approach depending on whether you need to focus on one more than the other. If you want to know how to get rid of twin skin as fast as possible, you’re going to want to focus on a few things. Good general health gives your body the tools it needs to heal and recover, naturally. You’ve just delivered twins, so you deserve some rest and recuperation anyway. 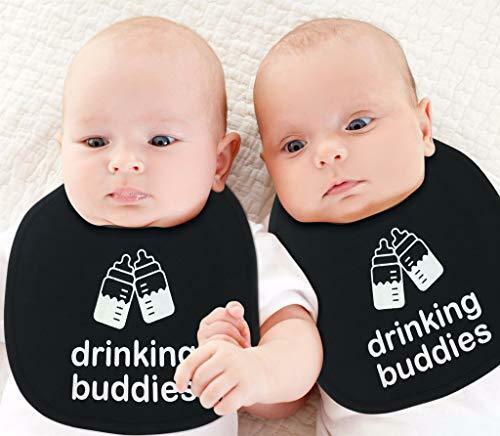 The best twin skin remedies will always be to eat healthy, get some light exercise, drink a lot of water, breastfeed and most importantly, give yourself time to recover and respond. Whether you’re exercising to strengthen stomach muscles, tone up and get back in shape or just try and reduce sagging skin, it’s best to follow two principles. Don’t overdo it. There’s nothing worse than thinking you’re helping, when you’re doing absolutely the opposite. If you feel any sharp or lingering pain whilst you exercise or after, stop doing what you’re doing. When you’re performing ab exercises, focus on holding the muscles in, tight and together. Sometimes, people get used to performing crunches and other exercises whilst pushing the muscles out. This will have the exact opposite effect than what you want. I’m not a personal trainer, so I’m not going to give you an exercise routine. However, the exercises normally given to people follow the same principles. Here’s an excellent list of exercises you can do to help heal your stomach and get yourself back in great shape! Postpartum girdles can be really helpful in healing your belly and convincing it to recover in the correct manner. They do this by holding everything in and giving your body the support it needs, in this trying time. We’ve already got a whole article on the top recommended postpartum girdles, which you can find here. There’s a whole bunch of different creams on the market that fight all of the ugly complications that can come with pregnancy. We’d recommend two different types of cream. First is anti-stretch mark cream, which rehydrates and moisturises your skin. You use this during your pregnancy, and it’s designed to limit and prevent stretch mark occurences. The second type of cream is a skin and scar healing cream. These are designed to take existing scars, stretch marks and other blemishes, and over time work to heal them and bring your skin back to normal. If you’re unhappy with your scars and stretch marks, it’s always worth talking to your doctor or pharmacist. They have experience in dealing with these situations, and may be able to recommend particular creams for your specific situation. In extreme cases, c-section scars might require further surgery. This isn’t usual, and doesn’t happen often, generally only when the scars themselves are unnaturally tight, debilitating or painful. If your scars are causing you problems, again, take it to your doctor and ask him for his recommendation. It’s probable that you won’t need surgery, and there’s other options you can pursue to make things easier. Remember, rest and recuperation are the best things you can do for yourself, no matter what your situation. Get as much rest as you can, eat right, and treat yourself as well as you can. Don’t be afraid to ask for help from your partner and family. With the right treatment, there’s absolutely no reason why you shouldn’t be rocking a body that you can be proud of in just a few months. You can’t expect miracles, because you’ve been put through a lot, but you’re in this for the long game. Keep doing everything you can, day by day, and you’ll soon recover from twin skin. If you’ve got any tips about a belly after twins for expecting moms, or any advice for what worked for you, then be sure to share the love in our comments!